Those who have been around long enough probably remember it took tax and accounting firms a long time to move from DOS to Windows. After all, DOS-based products worked well for their businesses. The situation is similar with the move from desktop software to web-based applications—those well-used on-premise products are working very well. 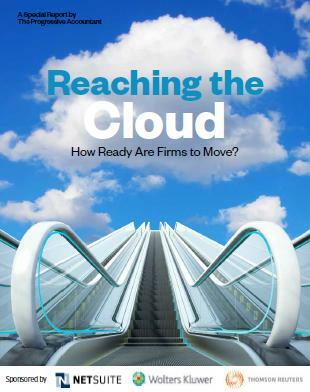 But clients are increasingly moving to the cloud and so are professionals. And while that transition is not as rapid as many would have anticipated, and software publishers would have liked, there is no doubt , the direction is toward the cloud.